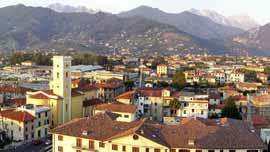 exclaimed Giacomo Puccini on first catching sight of this Tuscun beauty spot during a huntig-trip. With its vast theatre on the shores of lake Massaciuccoli, which hosts yhe Puccini Festival, still maintains intact the atmosphere and charm that inspired the composer. The lake and sorrounding marshland unveil a hidden world of incomparable beauty, immersed in the coastal pine forest which stretches from the lake to the sea and from Pisa to Viareggio. Beside the theatre entrance, the composer's Villa Mausoleum looks out over the little square that faces onto the lake. There a small room has been tranformed into a chapel which houses the tombs of Puccini, his wife Elvira and their son Antonio. Here too one can see numerour artifacts belonging to the composer such as the piano he used to compose during the night. 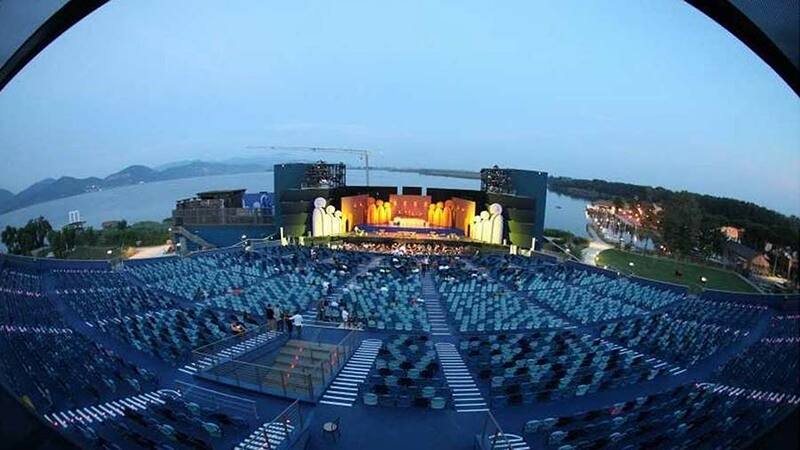 The Festival of Torre del Lago was inaugurated in 1930 and in over seventy years of existance, it has presented the world's most famous opera singers. Torre del Lago Puccini is a suburb of the town of Viareggio which is near the motorway exits of the Florence-Seaboard and Genoa-Leghorn highways. It is an ideal departure-point for a delightful tour of the numerous places associated whit Puccini and for visiting Tuscany's historic cities whit their artistic jewels.